Cobblestone Creek rests along the picturesque Country Club as a gorgeous subdivision of the Village of Victor. The neighborhood features sprawling landscapes and is near the epicenter of shopping, dining, and leisure on Rochester's East Side. 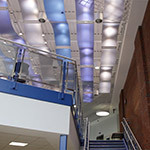 A highly regarded school district helps shape young families, while local culture offers something for every resident. The overwhelming sense of community and the high quality of living in the neighborhood of Cobblestone Creek is welcoming to everyone. Victor, New York is one of the most sought after communities to live and work in the state, and is one of the fastest growing in the County. With an inviting allure and friendly appeal it’s easy to see why Victor is such a wonderful place to live, work and play! As a prosperous southeastern suburban town of Greater Metropolitan Rochester, the business-friendly culture has many opportunities encouraging growth. Close-knit neighborhoods are abundant and tree-lined streets add to the many lures of Ontario County. Victor, New York is a town with character, great people, and is a preferred location to visit, raise a family, or start a business. There’s no better place to find the kind of housing and lifestyle to suit a wide range of homeowners than Victor, New York. Within tranquil village streets and tree-lined avenues you’ll find everything from landmark farmsteads and beautiful cobblestone-built homes, to new housing developments, upscale condominiums and retirement homes. Victor became part of a boom in suburban growth with the expansion of the I-90 and New York State Thruway. Shortly after, in 1971 Eastview Mall was built, and since that time high-tech industries, manufacturing companies, small businesses and other successful merchants have found Victor an attractive location. Because of its short drive to the City of Rochester, Victor has also appealed to many commuters, making it a market for people of all ages. While Victor is a fast growing community, the local government is committed to preserving the natural beauty and wildlife of the area. No matter where you choose to reside in Victor, small town friendliness, nature and character is sure to be found. Well known for its high quality of life, Victor, NY is a community rich in history, heritage, and progress! Along with the beauty of Western New York countrysides, residents enjoy an expansive array of amenities that one can only enjoy when small town living is mixed with big-city opportunities. Victor boasts a positive business climate, some of the lowest tax rates in the area, and state-recognized schools that offer a high set of curriculum standards. There are many opportunities to live life to the fullest – whether through recreation, culture, or economic advancement. Victor’s residents are proud of the rich history and strive to preserve the beauty of the town’s landmarks, while also promoting ‘greener’ living and a balanced housing market. Just a short drive from exceptional health care, notable shopping and dining districts, and nationally recognized vacation spots within the Finger Lakes Region, Victor, New York is truly where life is worth living! Life is what you make it, and Victor makes it fun with parks and recreation! 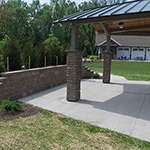 The Department of Parks and Recreation takes great pride in bringing the people together with four beautiful seasons and recreational offerings through area parks, trail systems, programs and exceptional facilities. 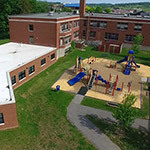 Those facilities play host to a whirlwind of fun with both a winter and summer concert series, sports and leisure activities, camps, creative art programs and so much more. 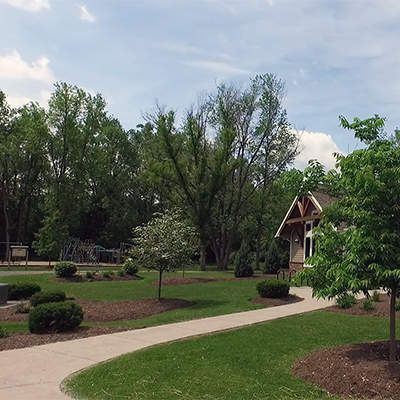 Parks such as Dryer Road Park, Fishers Park, and Victor Municipal Park are all loaded with miles of trails, many playgrounds, and wide open fields. These parks are perfect places for neighbors to meet, families to picnic, and for everyone to bike or go sledding. Dogs are welcomed! Throughout the year, numerous new programs for the whole are being offered constantly! It would be impossible to run out of places to go, people to meet, and things to do in Victor, New York! If you love to shop, Victor is the shopping destination of choice for miles! Whether you are an antique lover, enjoy art & music activities, are interested in going on a picturesque hike or bike ride, or simply want to visit the area’s largest upscale shopping mall, you can do it all! As a part of the Canandaigua Wine Trail, Victor attracts wine and beer enthusiasts from all over! If it’s history you are looking for, visit New York State’s only park dedicated to the history and culture of Native Americans, Ganondagon. The Valentown Museum is also a fun snapshot of history preserved in the country’s first ‘mall’ hosting a collection of early settler and Native American artifacts. There’s never a dull moment in four seasons of fun with skiing and award-winning golf courses... carnivals and festivals... and vacation spots and wineries in our very own Finger Lakes Region. THE PEOPLE OF VICTOR CREATE COMMUNITY! This Video Magazine is supported by these fine local businesses.